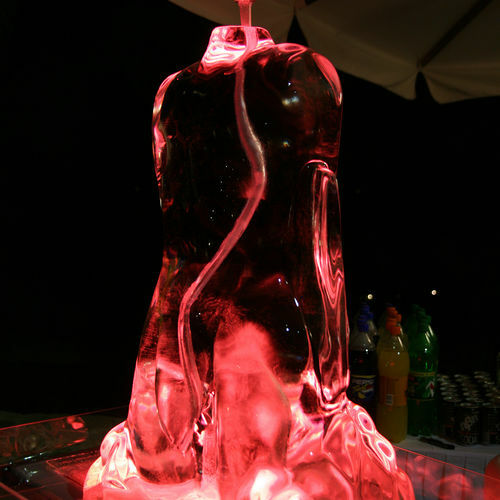 A vodka luge or ice luge is a piece of ice, carved into the shape you require to make an ice luge sculpture. The ice sculpture is then drilled, so that vodka or a spirit of your choice can be poured through from the top and then caught by a glass or mouth at the point of exit. 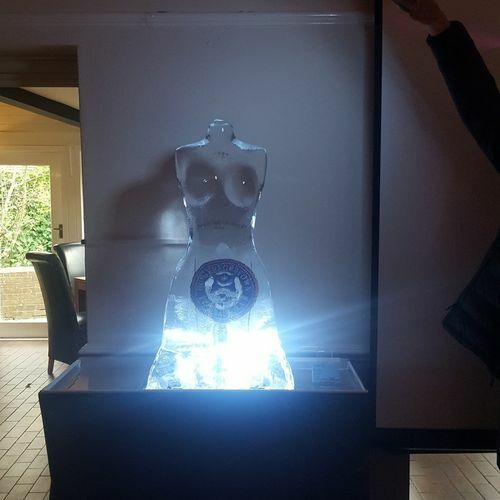 Perfect for any party or occasion and in a variety of designs including the hand luge, the Venus luge or a luge to your design.. Please Note: When you place an order for your luge the alcohol is NOT included and must be purchased independently. Also Ice-Promotion can take no responsibility for the use of the Luge once delivered so please act responsibly and ensure that all participants are over the legal drinking age of 18 unless using an alcohol free product.